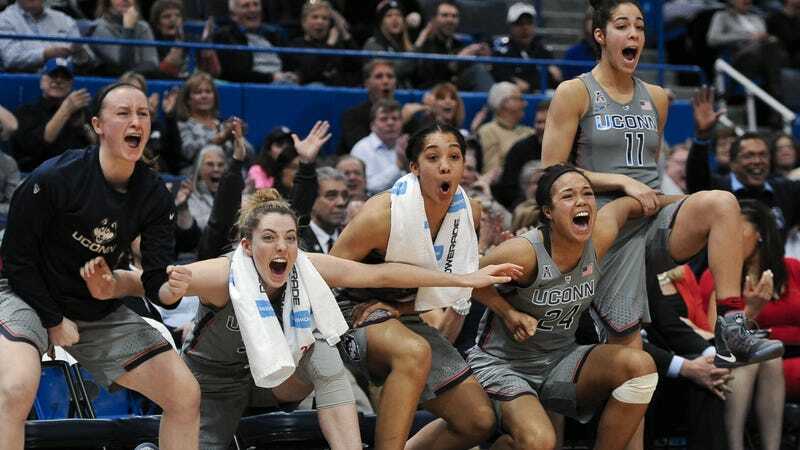 The UConn women’s basketball program is so perennially dominant that its only real competition at this point is past iterations of Geno Auriemma’s team. The current Huskies proved they’re still the best in basketball Tuesday night with their 90th-consecutive win—an NCAA record matched only by the UConn women of several years ago. The current streak started in November, 2014 after a two-point, overtime loss to Stanford restarted the clock following what had been 47 wins in a row. To celebrate last night’s victory, a congratulatory video put together by former Huskies from the previous record-setting streak played. They team will go for number 91 on Saturday against unranked Southern Methodist University.